Amazon Sponsored Products is without a doubt among the most efficient way to promote your product listings on Amazon. 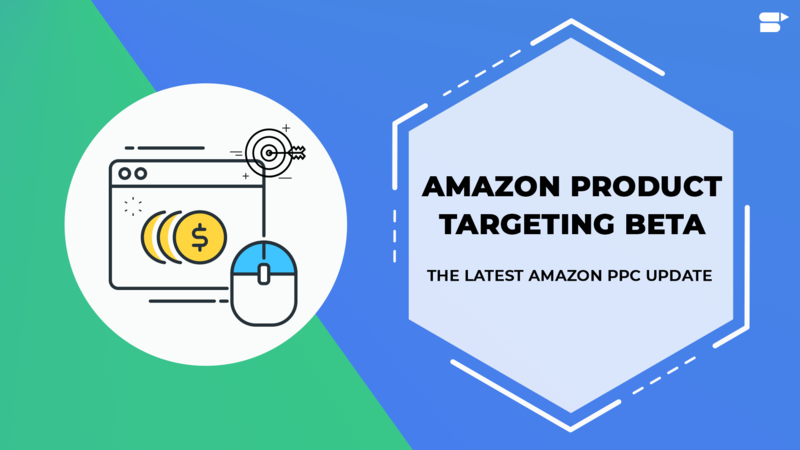 As you may have guessed by now, the idea here is fairly simple – you use Amazon PPC campaign to promote your items on the marketplace with the help of keyword-targeted advertisements. In other words, whenever a shopper on Amazon searches for a keyword set by you, your ad will be displayed along with the organic search results. It is a well-known fact that Amazon PPC has helped thousands of Amazon sellers to take their business to new heights. However, it is important to note that getting to that level requires planning, determination, and a willingness to learn from your mistakes. 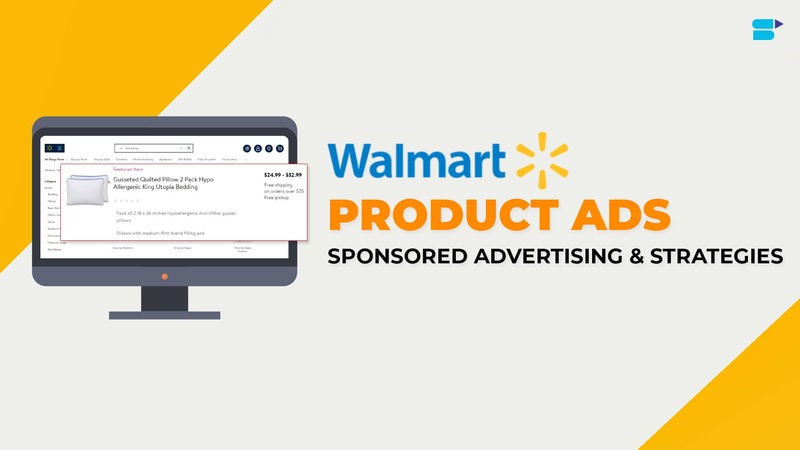 With that in mind, we at SellerApp have designed this Amazon PPC campaign blueprint to help you understand the ins and outs of Amazon Sponsored Products. 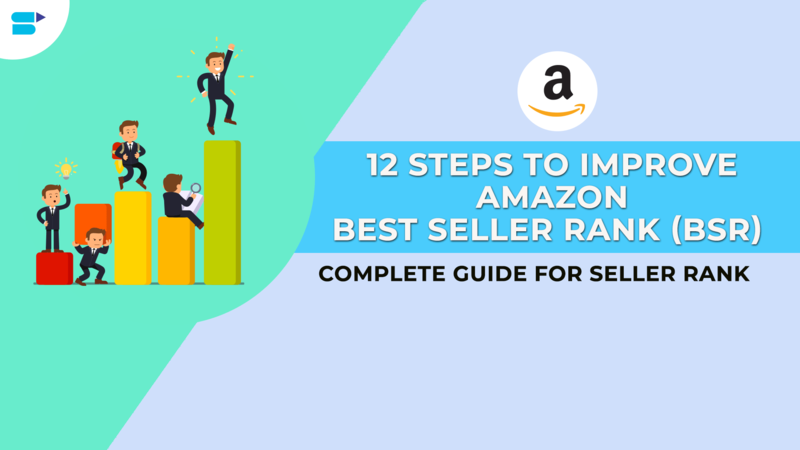 As long as you follow this guide, you can be certain that your campaigns on Amazon will be profitable. Broadly speaking, there are two types of ad campaigns that you can run on Amazon – Automatic and Manual. Automatic Campaigns: As the name suggests, Automatic campaigns are the ones wherein Amazon does all the work. As a seller, all you have to do is enter your campaign name, start date, and the budget for the ad. 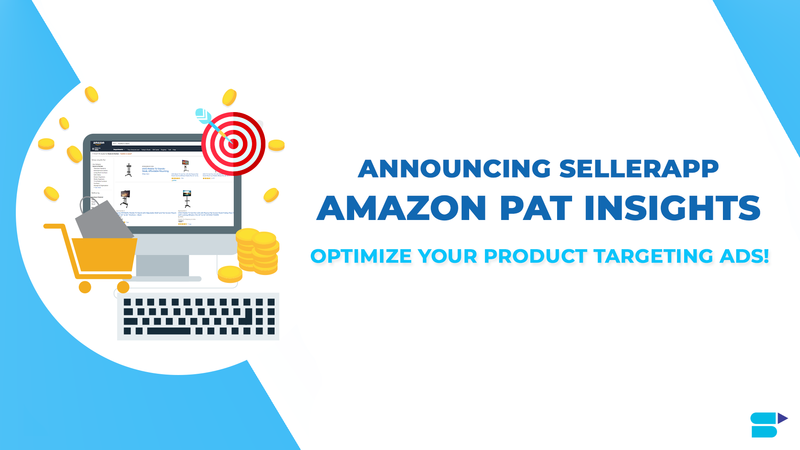 After that, Amazon will crawl through your product listings and find relevant keywords which match your products’ category and related products. It will then display ads based on these keywords. Since Amazon is essentially browsing through your product title, bullet points, description, and backend keywords to find relevant keywords, it is important to ensure that your product listings are precise, systematic, and have all the suitable keywords. Automatic campaigns serve as excellent methods to discover new, long-tail keywords that you never would have guessed. By analyzing automatic campaign reports, you will be able to find keywords which are doing well and, in turn, apply them to your manual campaigns. Of course, you should remember that it may take a couple of weeks to gather enough data to see which campaigns are performing well. Manual Campaigns: Manual campaigns are the ones wherein you have to do all the work. In this case, you will be required to add a list of keywords which you have found on your own or through the automatic campaigns on Amazon. In other words, you get to handpick the keywords that you want to bid on. 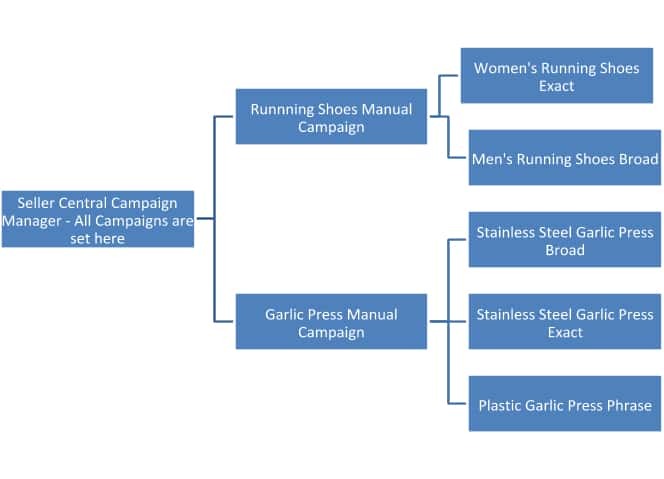 Within a manual campaign, you can define your keywords based on different match types. These match types allow you to control how broad or narrow the shopper’s search query should be, in order for your advertisement to be triggered in the marketplace. Broad: Your ad will be triggered when a shopper searches for your keywords in any order, along with other close variants. Phrase: Your ad will be displayed only when a buyer searches for your exact keywords with other words appearing before and after that. Exact: As the name suggests, the ad will be displayed only when the buyer searches for the exact keywords, without any other words in the search query. 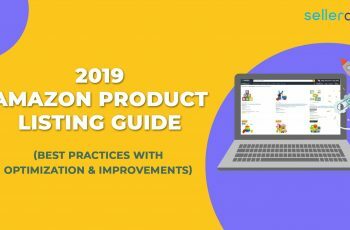 Now that we know the basics of Amazon Sponsored Products, let us take a look at how to go about setting the structure for your campaign. 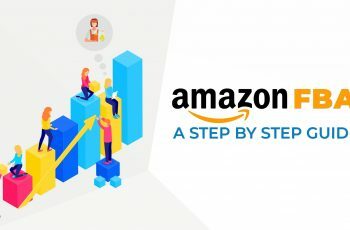 You see, in order to be successful with Amazon PPC, it is crucial to set a proper campaign structure, right from the beginning. You can think of it as a ladder to success and for this reason, we recommend you spend some time on this particular step. As a seller on Amazon, you are likely to have multiple variations of the same product. For instance, consider our previous example of ‘running shoes.’ You may be selling men’s running shoes, women’s running shoes, waterproof running shoes, and other similar products on Amazon. For the sake of simplicity and keeping things under the budget, we recommend running ads only a couple of top selling variations. As the traffic for these product increases, it will eventually trickle down to your weaker listings. 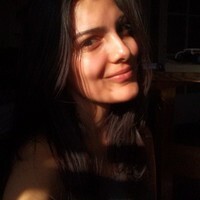 A good practice here is to keep similar products in the same campaign and have a separate ad group for each variation. This will become clearer to you in just a few moments. Since you are likely to run multiple advertisement campaigns on Amazon, it is recommended that you have a naming convention in hand before you get started. You should follow this naming convention throughout your journey as it will make it easier for you track of your campaigns successfully. With that in mind, let us take a look at the following flowchart which clearly illustrates the importance of the aforementioned points. The flowchart mentioned above illustrates how your Seller Central Campaign Manager would look like. Since you are going to have multiple product listings and each listing will have multiple variations, it is important that you name the respective campaigns in a manner which is simple, easy to track, and convenient. Otherwise, just imagine the flowchart above with a bunch of complicated names. It is quite messy and scary, to say the least. Isn’t it? One last thing that you need to consider while setting up the structure for Amazon PPC campaign is the initial bid price. It is quite obvious that every niche is going to have different keyword bid prices. In order to ensure that your products get a decent share of impressions, your initial bid should be in line with the suggested bids. To go about this, you can either use the Amazon Suggested Bid ranges or you can use the SellerApp Keyword Research tool which will give you the precise bid range for a particular keyword. Whatever may be the case, it is advisable to research the bids thoroughly before proceeding. There is no sure shot recipe to success when it comes to running Amazon PPC campaigns. However, there is a methodical procedure that you should definitely follow to ensure optimum results. With that in mind, we have devised SellerApp Core Campaign Strategy which has helped thousands of sellers supercharge their sales on Amazon. Automatic Campaigns are your starting point – period. You must not think of anything else in terms of running ads before you run an auto campaign. As we explained earlier, Amazon’s algorithm will browse through your product listings and find a relevant set of keywords for which it will the ad campaigns. As a rule of thumb, it is recommended that you run this campaign for at least two weeks to gather enough data. Also, be sure to not tamper with the campaign while it is running. This should be done for all the products that you have in your listings as it will give them a decent exposure and traffic. However, if you choose to rely only on Amazon’s auto campaign, then it will prove to be harmful to your business and its budget. After running an auto campaign for a good couple of weeks, you need to review your Search Terms report and identify the keywords which are performing well. The keywords performance data will give you enough input to identify which keywords are converting well in terms of high conversion, high click-through-rate (CTR), and relevance. Please note that if a keyword has a high CTR but isn’t converting well, then it will eat into your advertising budget. Once you have identified these good keywords, you need to start a manual campaign based solely on these keywords. 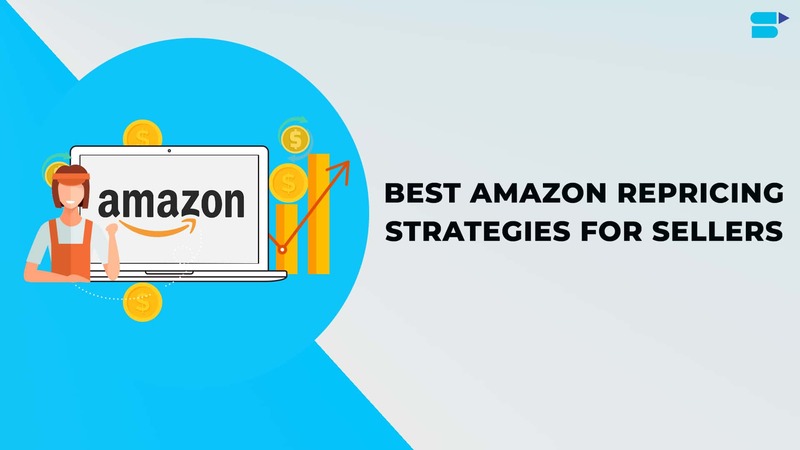 At the same time, you must also ensure that you mark these good keywords as ‘negative keywords’ in the Amazon Auto Campaign so that you don’t compete against yourself and pay the higher amount. 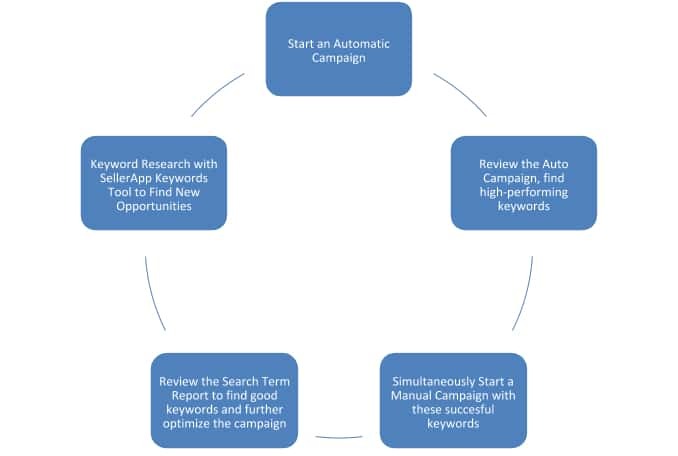 In this step, you take the good keywords that you obtain from the auto campaign and any other source and then refine them further by running a manual campaign with them. In other words, you are creating a high-performing ad campaign with specific keywords that have delivered positive results in the automatic campaign. You can use the keywords to create a manual campaign with match types as phrase, broad, and exact. Another thing that you should consider here is to adjust your PPC bid individually for each keyword to further boost the performance of your campaign. As you know, higher the bid, the better the position your ad will get in the search results. Therefore, you should give priority to keywords with higher clicks and conversions. We cannot emphasize the importance of this step enough. It is critical that you regularly analyze your keyword performance report and maintain a clear record of the same. You need to closely observe the keywords which are performing exceptionally well for you and make it a point to keep them in your campaign. A good practice here is to keep a record of keywords for each 30 day period. Once again, do not forget to review your automatic campaign data and add high-performing keywords to your manual ones. For the keywords that are not performing well, you have options – you can either lower the bid and keep the campaigns running, or you can add them as negative keywords to not pay for them. No Amazon PPC Campaign will ever be successful unless you regularly optimize them. This is nothing but the process of monitoring the performance of your ad campaigns on a regular basis and making the necessary tweaks to improve the results. Along with this, it entails certain additional practices that have proven to be quite successful for plenty of sellers over the years. 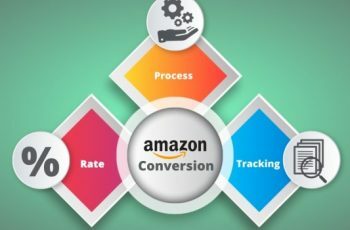 Many sellers choose to overlook this crucial aspect of running ad campaigns on Amazon, simply because it is too cumbersome of a process. However, if done correctly, negative keywords can prove to be your best friend when it comes to optimizing Sponsored Products Campaign. Simply put, negative keywords are the ones for which you don’t want your products’ ad to be triggered. If we are to look at it from another perspective, by filtering out negative keywords, you are improving the relevancy of your ads. 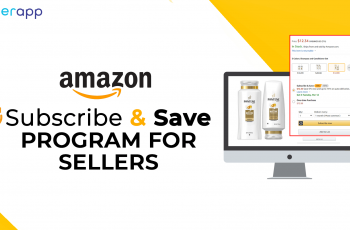 Furthermore, you ensure that you pay Amazon only for the advertisements which are relevant to your products, rather than paying for the ones which are nowhere close to the items that you are selling. For instance, in our previous example of running shoes, you have bid on the word ‘shoes’ as a broad match keyword. If a shopper searches for the phrase ‘baby shoes,’ you obviously don’t want your ad to be triggered for that product. Therefore, it is best to mark that keyword as negative. The best way to find negative keywords is by analyzing Search Term reports or by directly making a list of negative keywords. In the first case, you will analyze your keyword performance data and sort the same based on highest impressions and highest spends. Once you have these metrics, you will then judge the quality of the keyword based on CTR, conversions, and conversion rate. While you are at it, you should also look for any search terms which are openly irrelevant to your product. Whatever may be the case, you should ensure that you add the keywords as a negative exact match. Generally speaking, you can add a high-impression keyword with a low CTR to the negative keywords list. As and when you get the keywords, you should make sure to implement them into your campaigns and identify the ones which are performing well for you. On odd weeks, you discover new keywords and add the same to your manual test campaigns. During the even weeks of the month, you should make it a point to optimize your individual campaigns based on their respective goals. You should ensure that you are performing within your target advertising cost of sales (ACoS), along with getting the right number of clicks and sales. For Exact ad campaigns, you should keep your keyword bid high as your end goal here is to generate sales. These keywords generate a higher search volume and by default, they hold higher sales potential. Similarly, for the Broad ad campaigns, you may want to keep your keyword bid medium since your primary objective here is to identify top performing keywords which will move to Exact campaigns. Similarly, you should also look into filtering the keywords based on ACoS, sales, impressions, and clicks, and then analyze their performance. For instance, if you have a keyword with high impressions but zero sales, then you may want to add it to negative keywords. Likewise, if you have a keyword with high CTR but a poor conversion rate, then you should look into optimizing the product listings. As you may have guessed by now, the idea here is to understand how the keywords in each campaign are performing. In the odd weeks of the month, you should look into discovering and adding new keywords to your ad campaigns. Since it takes a good couple of weeks to gather enough data, this strategy works well with the even week plan that we described above. You can start by using the SellerApp Keyword tool and other sources to mine new keywords for your products. While you are at it, you should also check your auto campaign report to identify top performing keywords. Once you have your list of successful keywords, you should add them to your manual campaigns to further improve your list of good keywords. Amazon Sponsored Products is a terrific way to boost your sales, generate traffic, and improve your organic rankings in the marketplace. However, there are various aspects which are to be considered in order to run a successful PPC campaign on Amazon. Furthermore, it can be quite tricky to manage and analyze all the reports on the Seller Central dashboard. With that in mind, we at SellerApp have designed a state-of-the-art dashboard that works in sync with your Seller Central account. You will be able to observe all the important metrics of your online business in a simplified manner. In addition to this, you will be able to implement all of the aforementioned strategies seamlessly on our platform. The competition is fierce out there and to ensure that your money and time are worth it, we recommend you keep this simple and precise with SellerApp.